The acquisition would combine Aeryon’s vertical takeoff and landing quad-copter (VTOL) with FLIR’s thermal technology to offer intelligence, surveillance and reconnaissance (ISR) capability. Renowned imaging solution provider, FLIR Systems, Inc. has recently announced its acquisition of Canada’s unmanned aerial systems (UAS) developer Aeryon Labs Inc. for $200 million. Reliable sources claim that the acquisition would offer users with Aeryon Labs’ vertical takeoff and landing (VTOL) quad-copter integrated with FLIR’s thermal technology which provides rapid high-resolution intelligence, surveillance, and reconnaissance (ISR) capability. Founded in 2007, Aeryon Labs is one of the leading designers and manufacturers of mission-focused Group 1 UAS solutions. The company’s UAS family is effectively deployed by 20 militaries in over 30 countries worldwide, including the U.S. Department of Defense. As per a press release, Jim Cannon, President & CEO, FLIR Systems, said that the acquisition of Aeryon Labs will effectively strengthen its long-term strategy to offer solutions that save lives and livelihoods. He said that the company intends to further invest and develop its business and broaden its capabilities as it views UAS to be a significant opportunity for organic growth in the coming years. Delighted to join the FLIR family, Dave Kroetsch, Co-Founder & CTO, Aeryon Labs, said that the development in drone technology and its markets has led customers to seek enhanced UAS that offer broader features and solutions. He said that the company has evolved in this direction for a couple of years and is now being part of FLIR Systems to pave the way for inclusion of Aeryon’s software and hardware technologies in bigger solutions. 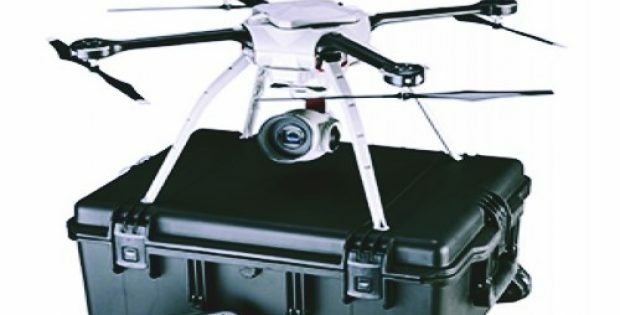 As per reports, Aeryon Labs will be part of FLIR Systems Government & Defense Business Unit’s Unmanned Systems & Integrated Solutions (UIS) division. Furthermore, FLIR Systems’ management is expected to discuss the strategic acquisition during its 2018 Q4 earnings call scheduled on 13th February 2019.